This new format, crafted specifically for younger readers, features the original Tintin graphic novel plus brand-new content. 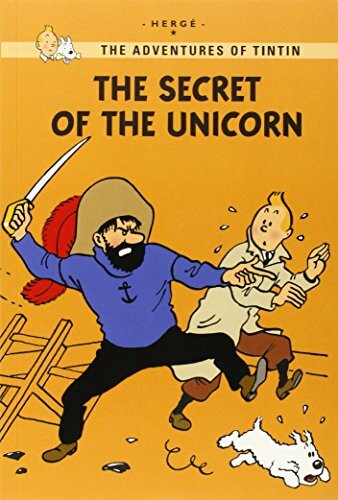 Go "behind the scenes" with the true story about people, places and antiquities that Hergé drew from, filled with fun facts, lots of pictures, and easy-to-read text! In this adventure: Tintin stumbles across a model ship at the Old Street Market. Only it isn't just any model ship-it's the Unicorn, carved by one of Haddock's ancestors, and it holds a clue to finding pirate treasure!